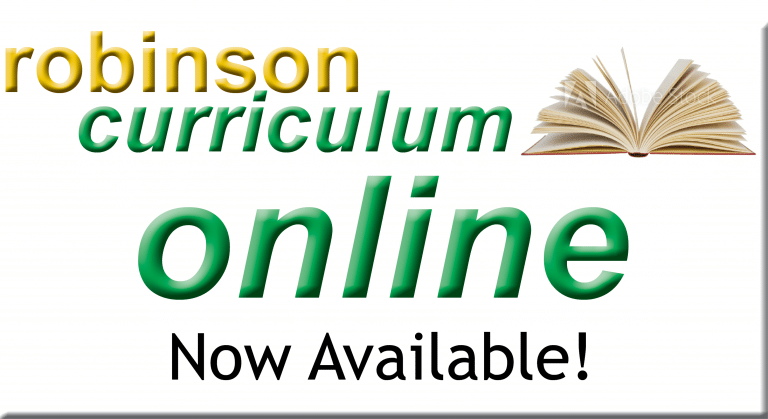 Listen to a talk by Dr. Robinson about homeschooling and more. When you teach something you truly learn it. This is the key to the self-teaching approach of the Robinson Curriculum. In this set of articles Dr. Arthur Robinson explains the benefits of this approach and provides other insights on a variety of topics. Click on a link in the index on the left to see more information. 22 CD-ROMs, 2 years of RC Online, deluxe softcover folding CD case, printable books, science program, vocabulary, phonics, and math flash cards.[MORE... ] Note: Does not include the Saxon Math books. You can find out where to start older children here. - No CD Drive? No Windows PC? No problem! Nothing to install. any OS, any time, any where.